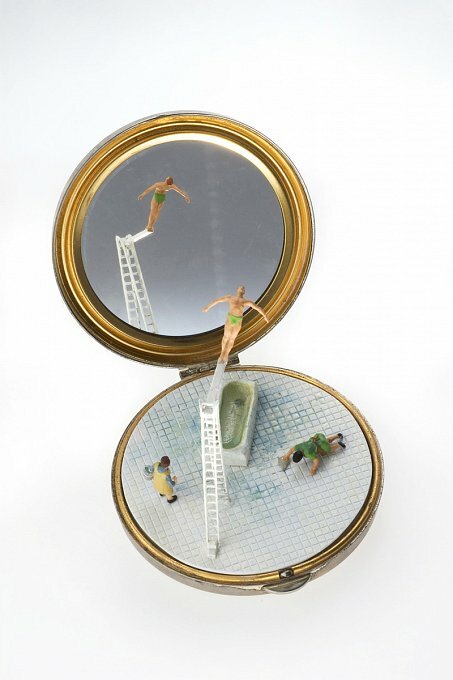 Fantasies of "selfhood" are enacted through dream-like situations and the dream externalised in the form of a miniature in the artwork exhibited in the exhibition "An Enchanted Life". 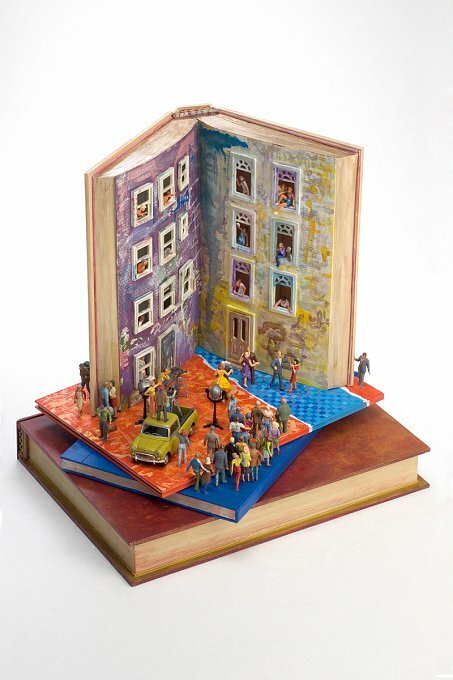 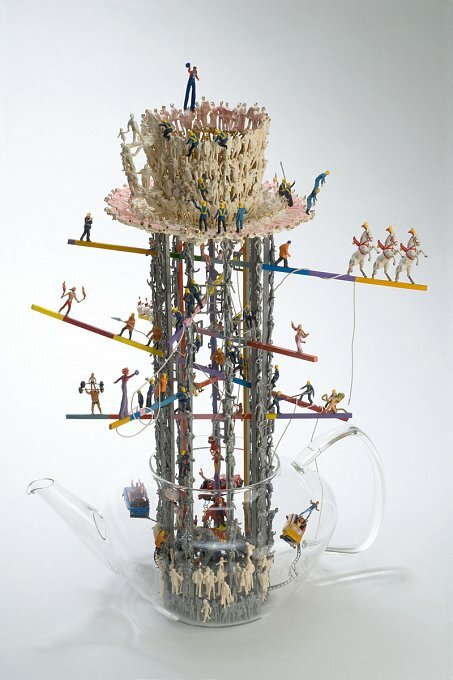 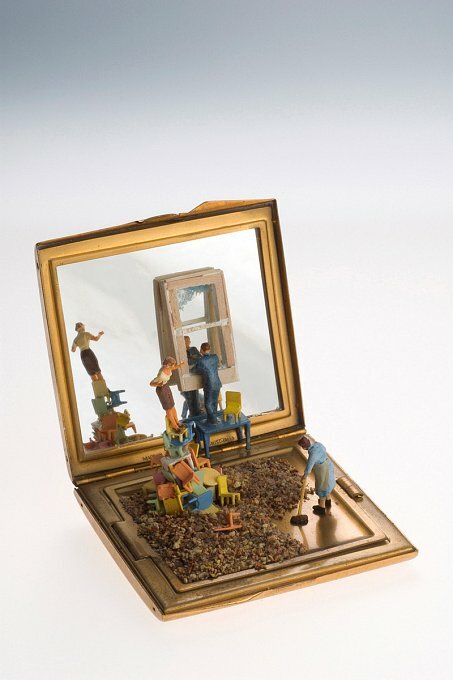 The form of the tableau vivant in miniature has been chosen to recreate the performance of various personal identities and personalities, and the mirroring of self-image through others. 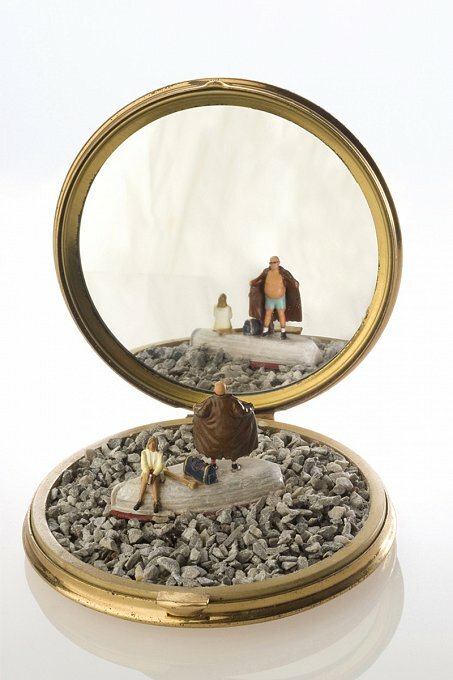 This allows the dramatisation of the fantasised wish or anxiety, which is an element of the dream to be acted out as an external recreation of self-image. 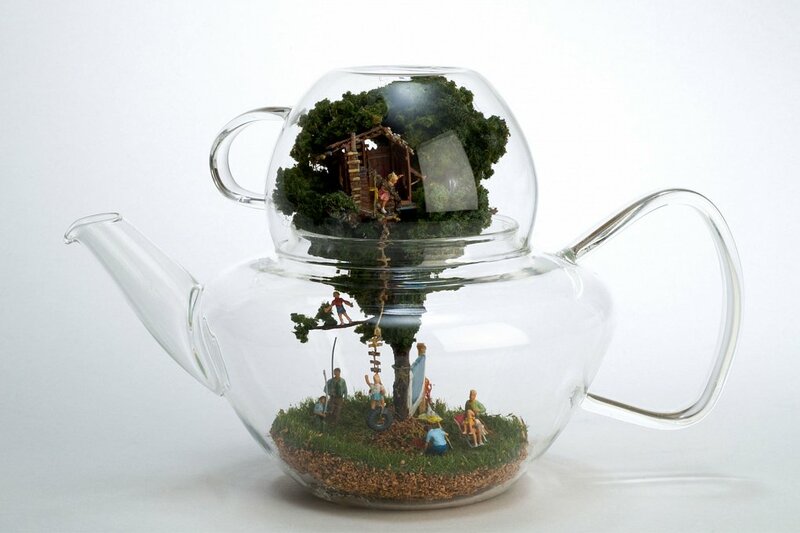 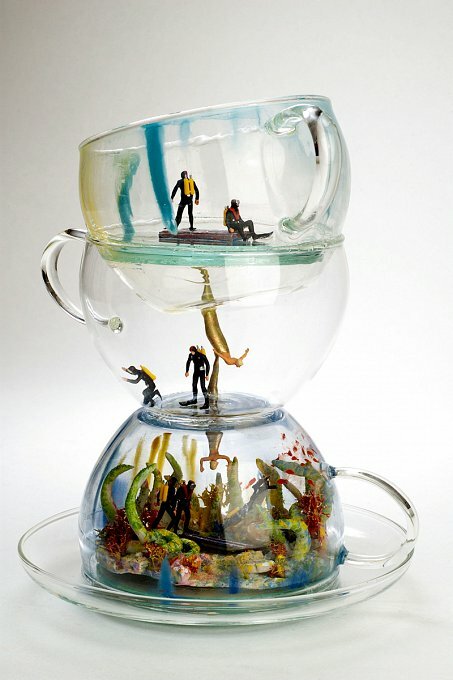 Teapots, cups, purses, books and mirrored compacts have all been used to display the various fantasy situations. 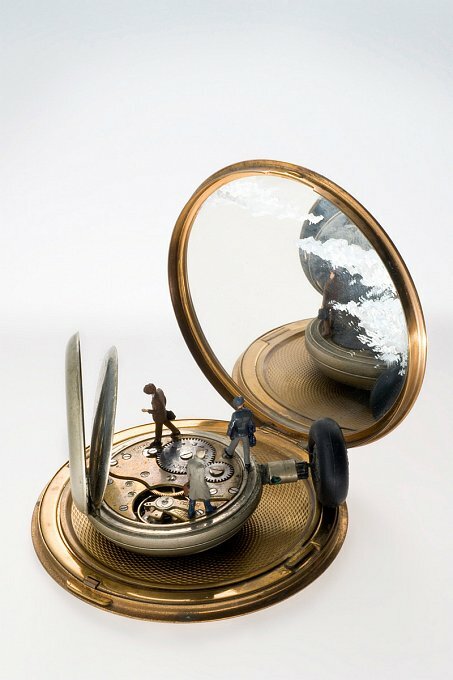 These objects all indicate a link between mind and body, the representation of an interior experience through the miniature world. 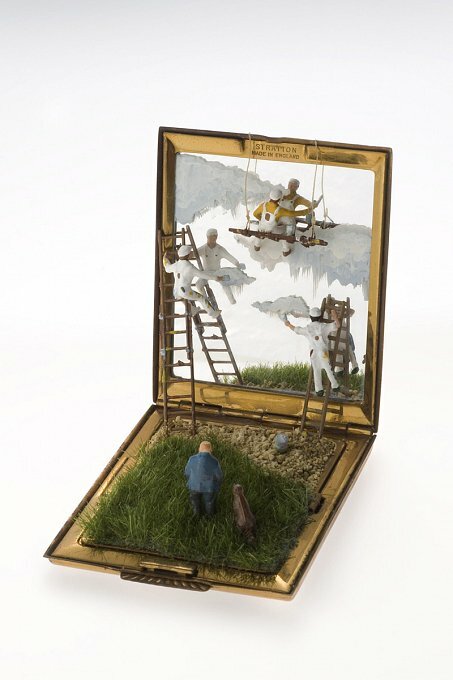 Dream symbolism is identified in the poetic quality of the imagery, where a point of contemplation is highlighted by the unexpected additions of improbable elements to the construction of the narrative. 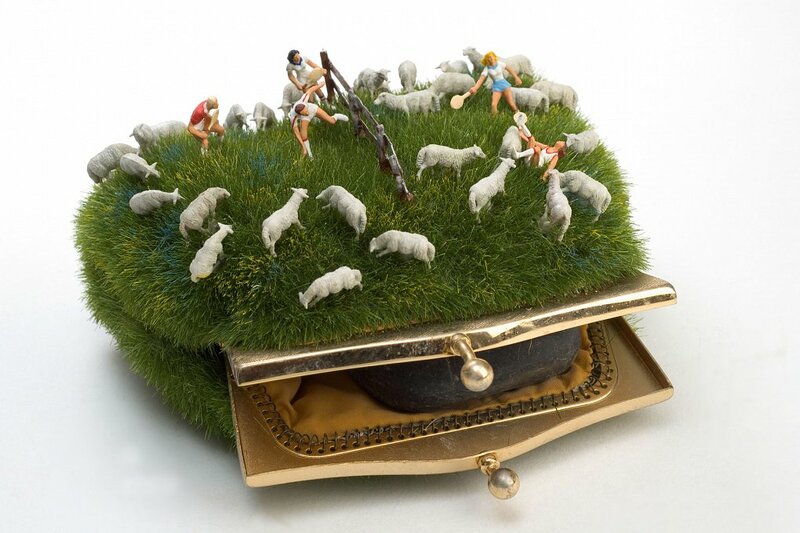 The symbolic nature of the narrative elements, are used to draw attention to the point of contemplation, which represents an ideal, emotion or question. 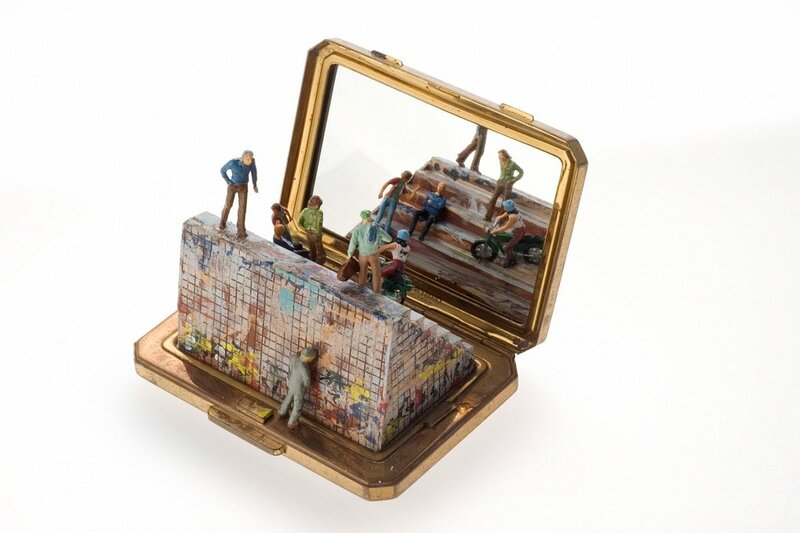 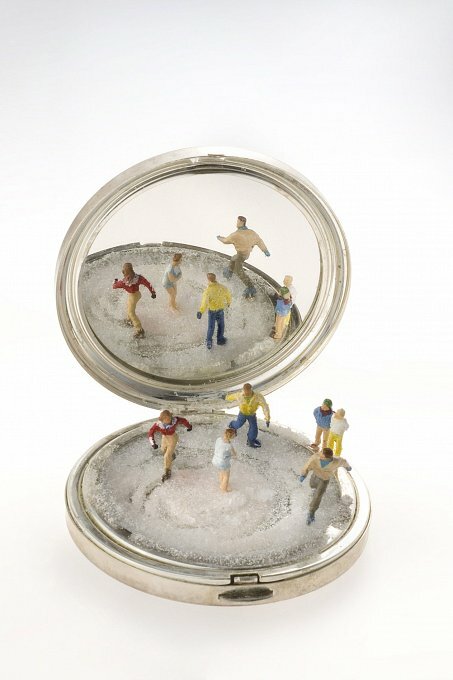 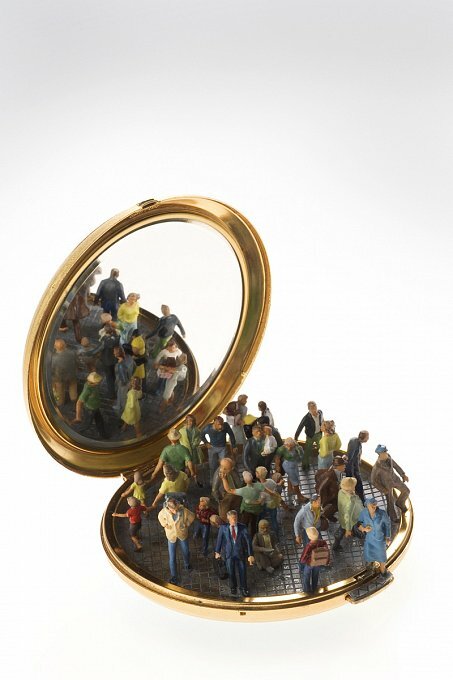 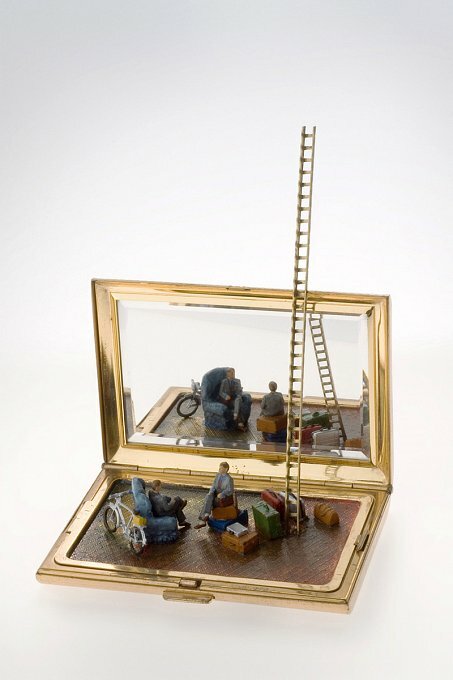 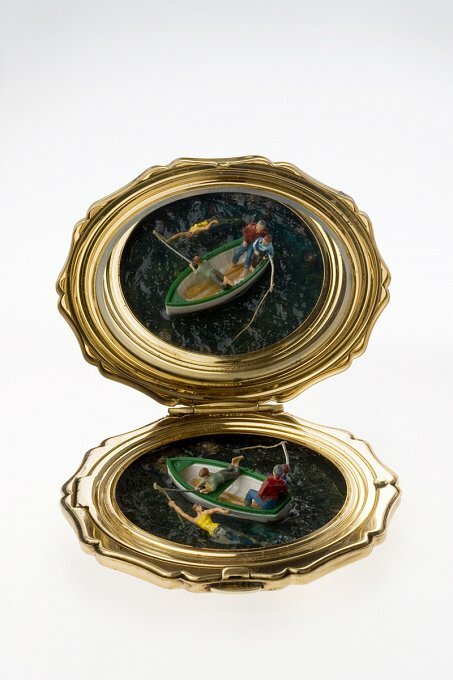 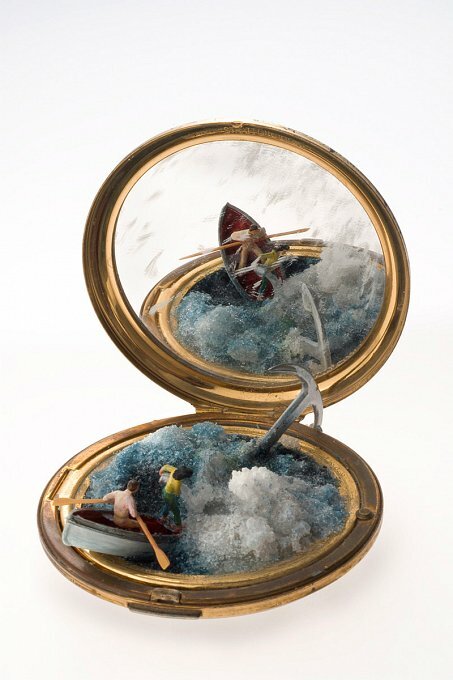 A mirror is often used in the miniatures as it is a holds an echo, and imitation of the self, as well as providing a metaphoric eye or lens through which the miniature world is viewed. 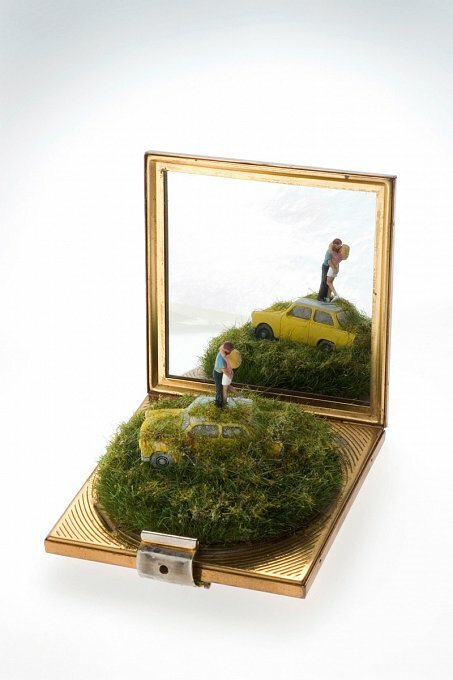 The mirror also suggests a passage of time through space, a view into the fantasised past and future of the self. 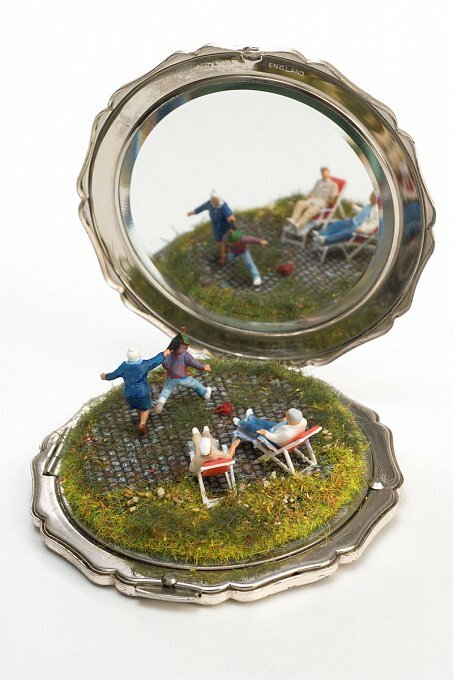 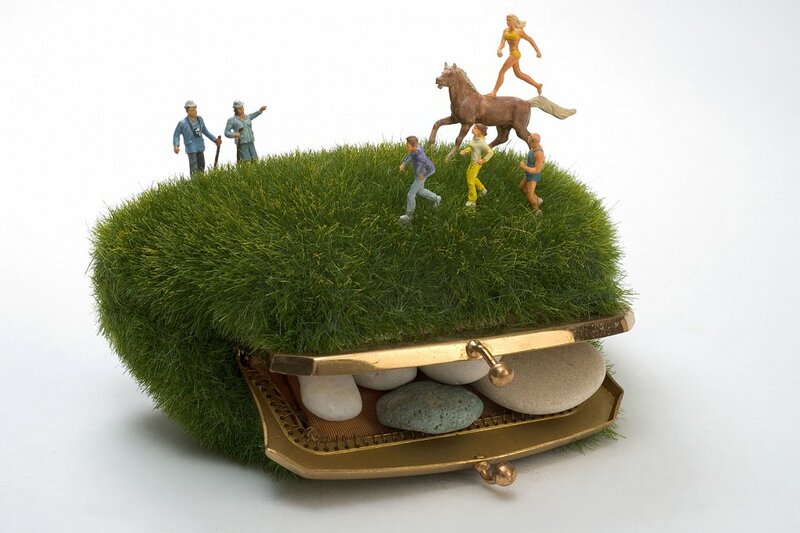 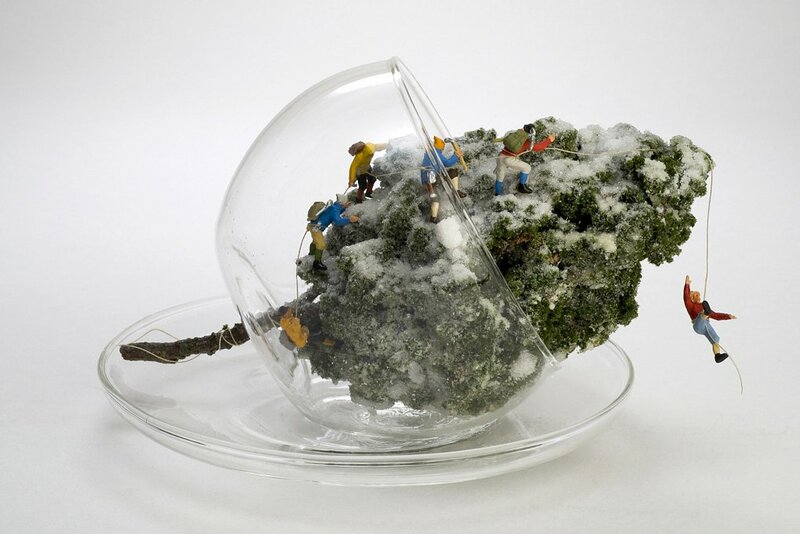 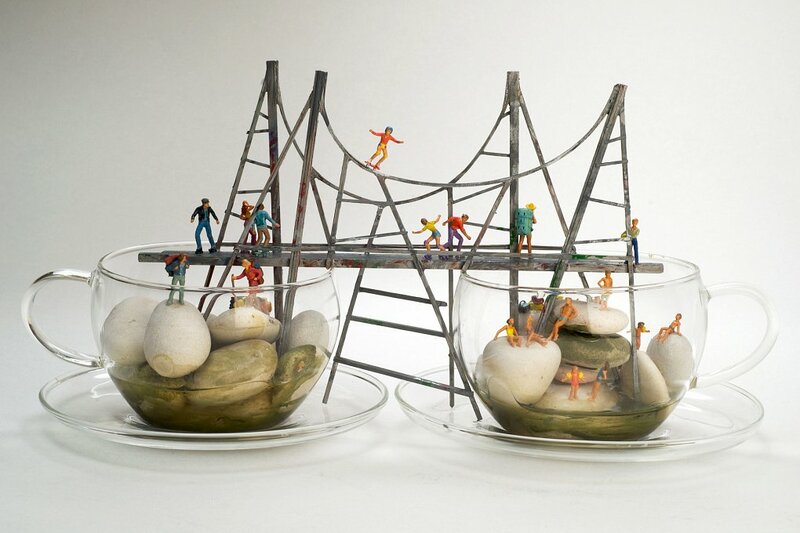 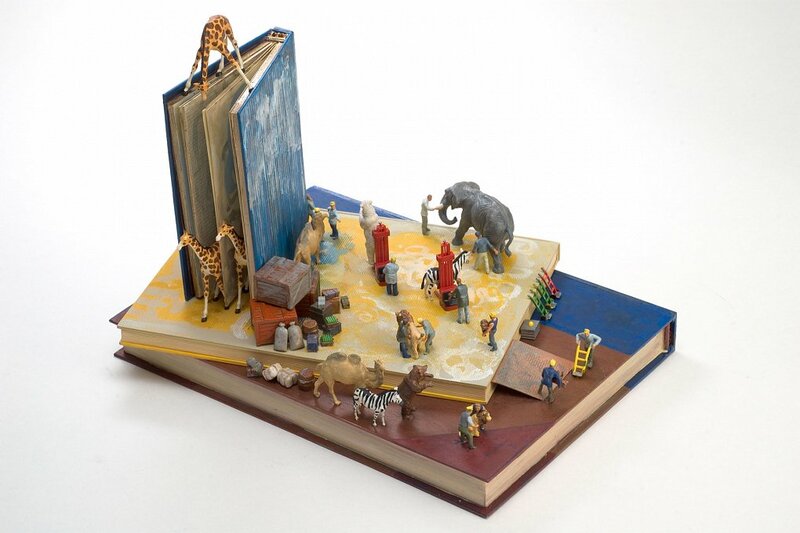 The playful titles of the artwork utilise rhyme as a way of representing the link between the fantasy of self as expressed through dream and the physical expression and imitation of self in these miniature worlds.